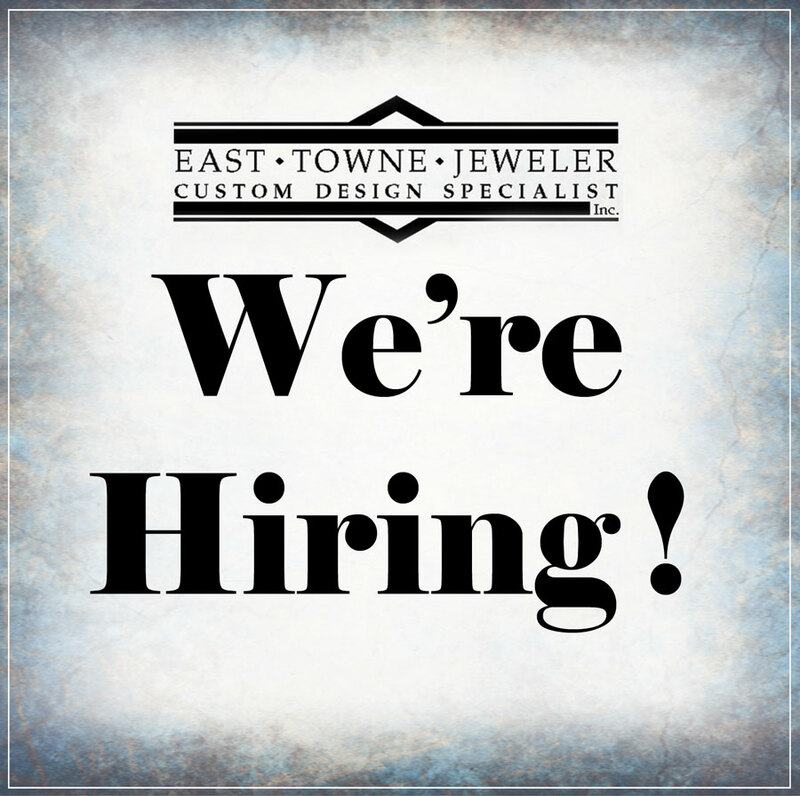 East Towne Jewelers is currently looking for a spirited person to join our team in Mequon, WI. If you love jewelry and fashion and are looking for a part-time job, this may be the perfect position for you. East Towne Jewelers is looking to hire a new retail sales associate in our Mequon jewelry store. The perfect candidate is energetic, creative and likes to work with people. We are a fun-loving team with a passion for helping people choose great jewelry. Whether it is a treat for themselves, a unique birthday or anniversary gift, or designing a custom piece of jewelry for someone special—we love to help our customers find the perfect piece. The open retail sales position is part-time, but could develop into more hours. Hours are flexible, but generally we start working between 9-10am to set up, store retail hours are 10am to 6pm, with time to put things away after closing. We also work in shifts. Our store is closed Sundays and Mondays except during the holidays. Knowledge of jewelry is not required, creativity is appreciated, some computer skills would be helpful. It is important that the person love working with people and have good communication skills. East Towne Jewelers is located inside East Towne Square Mall in Mequon, Wisconsin. We have been in the jewelry business for over 30 years. If you are interested in joining our team, contact Mary at (262) 241-8007.